Did you know that from the beginning God’s purpose in creating human beings was to welcome them into His family? This is why God said He created them “in Our image, according to Our likeness” (Genesis 1:26). But the Bible shows that not everyone will become a child of God. To receive this awesome gift, what is God looking for in us? Let’s start by looking at one of the most startling scriptures in the Bible: “‘Come out from among them and be separate, says the Lord. Do not touch what is unclean, and I will receive you.’ ‘I will be a Father to you, and you shall be My sons and daughters, says the LORD Almighty’” (2 Corinthians 6:17-18). Imagine the extent of God’s love for us—that He should want to make us His sons and daughters! The Bible reveals that God’s ultimate objective is to expand His own family, by creating human beings with the awesome potential to become members of His family—His children! The apostles understood this. John tells us, “Behold what manner of love the Father has bestowed on us, that we should be called children of God!” (1 John 3:1). Paul concurs, “Walk worthy of God who calls you into His own kingdom and glory” (1 Thessalonians 2:12). God wants us to be His sons and daughters. What an amazing objective to work toward! God wants to welcome us into His family. However, God will not give this awesome gift to just anyone. In order to receive such an inheritance, we must meet God’s criteria. God has to be sure of us—sure of our love for Him, sure that we will obey Him and be faithful to Him through thick and thin. God created everyone with free moral agency, the ability to choose. He wants us to choose the way that brings benefits to us and those around us—the way that develops His righteous character. He does not want us to choose the way that makes us and those around us miserable. So God will not accept anyone into His family who may decide he or she no longer needs to obey God, and who may choose to go his or her own way. Trust plays an enormous part in this process. Before giving us eternal life on the God-plane level of life, God must know that He can eternally trust us 100 percent. Most people who say “I believe in God” can’t really tell you what God is like. God is not real to them. In other words, He is a mystery. If we are to become children of God, we need to know what God is like. First, God is our Creator. He is the Creator of the universe and, of course, of human beings. “God said, ‘Let Us make man in Our image, according to Our likeness’” (Genesis 1:26). Why did He do this? Because God is also the great Giver. His whole nature is based on the concept of giving rather than getting. And it was in His power to give the greatest gift of all: life. To God, the well-being of His creation (us) is of paramount importance. God’s priorities are serving and helping; He is never selfish. But selfishness is the way of the world: “For men will be lovers of themselves, lovers of money, boasters, proud, … unthankful, unholy, unloving, unforgiving, … brutal, despisers of good” (2 Timothy 3:2-4). God is righteous. God is holy. His character consists of justice, fairness and mercy. In a word, we can say that God is love (1 John 4:8, 16). Humans were made to have a special relationship with their Maker. What must we do to build a relationship with God? “Love the LORD your God with all your heart, with all your soul, with all your strength, and with all your mind” (Luke 10:27). In order to do these things, we really need to get to know God better and strive to become like Him. How should we go about doing this? How do we get better acquainted with anyone? We get to know someone by spending time with him or her. We spend time in conversation and in doing things together. Moreover, God gave us an instruction manual that contains everything we need to know about God and His only begotten Son, Jesus Christ. It is called the Holy Bible. Never underestimate the importance of Bible study. It can give us insight into our Heavenly Father: what He does, how He thinks and His holy righteous character—the same character He wants us to develop. We talk to God in prayer. He talks to us as we study His Word. As we talk to God and study the Bible, we will learn all sorts of things. God wants us to think about these things—about what they really mean, their importance to us and where they fit into God’s master plan for us. In short, we need to meditate about them. The Bible also places emphasis on fasting. Examples include: “I humbled myself with fasting” (Psalm 35:13) and “give yourselves to fasting and prayer” (1 Corinthians 7:5). For more details on building a relationship with God, read our articles on prayer, fasting and meditation. God wants to see us seeking His perfect, holy and righteous character in order to be in His family. Righteous character is the ability to recognize and differentiate between right and wrong, and the conscious decision to do the right. To grow in God’s character, we need to surrender our lives to God, unconditionally and completely, and adopt His way in everything. God intends His family to be made up of children who think and act as He does. God intends His family to be made up of children who think and act as He does. To many human beings, becoming like God seems out of reach, completely impossible! Yet that is what God wants and expects. We must strive to reflect God’s character in every way: in spirit, approach, nature, attitude and love. Though we might worry that it is impossible for us to be saved, Jesus Christ tells us: “With men this is impossible, but with God all things are possible” (Matthew 19:26, emphasis added throughout). To those who follow God’s instructions, He has promised to give the gift of the Holy Spirit, allowing God and Christ to dwell within us. When God gives us His Spirit, we receive the spiritual strength we need in order to replace our old wrong habits of selfish living with the righteous and godly way of living exemplified by the life of Jesus Christ (Ephesians 4:22-24; John 1:4; 1 John 2:5-6). 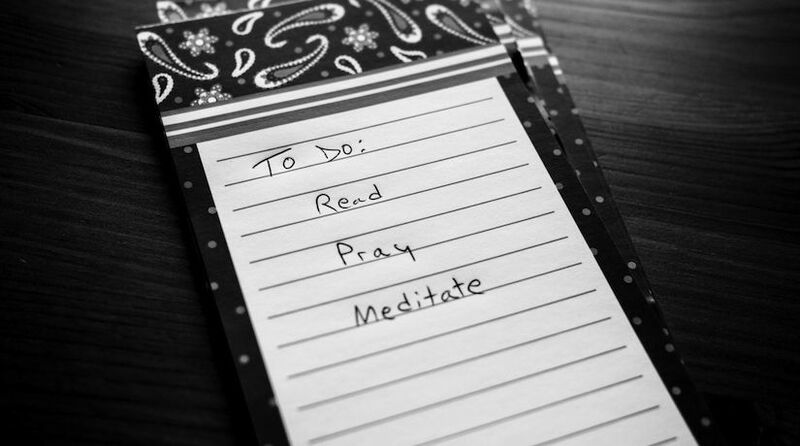 To do this, we need to first commit our lives to God. Jesus set the scene in Mark 1:15: “Repent, and believe in the gospel.” Repentance is toward God. It is not just being sorry for our sins, but it is also a total change and commitment of heart to being absolutely determined to turn our lives around—be converted (Acts 3:19)—to quit our old sinning way and instead obey God’s 10 Commandments. Belief is another word for faith. God wants us to have a firm belief in the sacrifice of Jesus Christ—whose blood paid for our sins—and in the gospel of the coming Kingdom of God. Once we repent, believe and are baptized, God promises to place within us His Holy Spirit. Why baptism? It is a test—it is a sign of our willingness to obey God and make a lifelong commitment to Him. Baptism represents a covenant (agreement) between ourselves and God, in which God agrees to give us His Spirit and make us members of His own family. In return, He wants us to place ourselves in His hands and to commit to obey His commandments. This is a total commitment of heart that must lead to a total change of life for us. From this point on, we agree to put God first and do everything with a view to pleasing Him. In our present human state, this is not easy. But after baptism we have the Holy Spirit to help us. This is the way God works in us, converting us, shaping us, making us more like Him! Read our article “What Is the Holy Spirit?” for more about this subject. Therein lies the key: Developing God’s character is only possible with the help of God Himself! God has given us a mammoth task, but He has made it possible for us to work toward becoming like Him by asking for His aid through the Holy Spirit. That’s how we can fulfill God’s purpose for our lives and become a child of God.